We maintain hundreds of sample diagrams, detailing different examples of interactivity, templates, and user logic for you to start from. We offer free developer-to-developer support during evaluation. 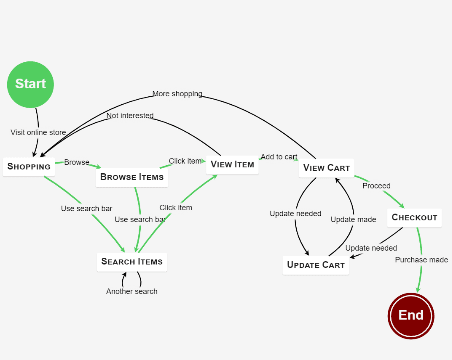 Build interactive flowcharts or flow diagrams. Let your users build, modify, and save Diagrams with JSON model output. 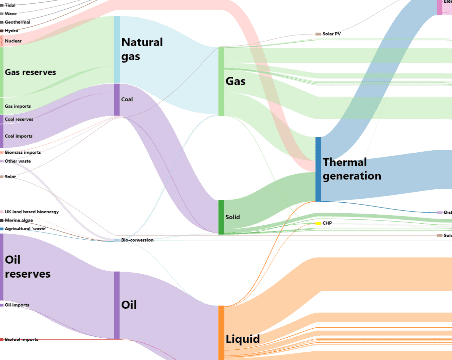 Visualize State Charts and other behavior diagrams. Create diagrams with live updates to monitor state, or interactive diagrams for planning. 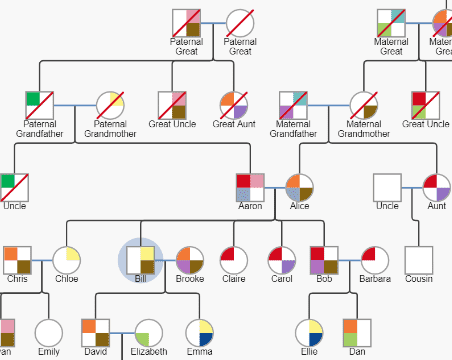 Create Genogram and Medical diagrams, or editable family trees with collapsible levels. 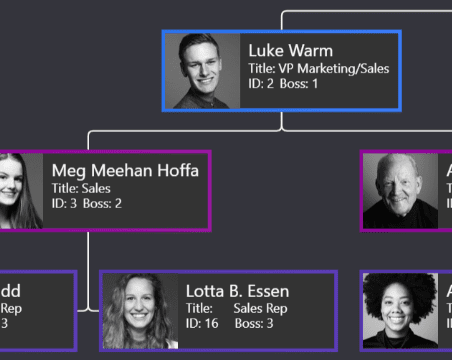 Create classic org charts for viewing or editing. 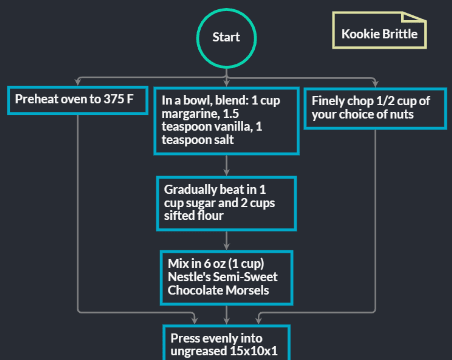 Automatic layouts make different visualization options easy. Dynamically add ports and custom link routing. USe data-bindings to save and load routes within the Model JSON. 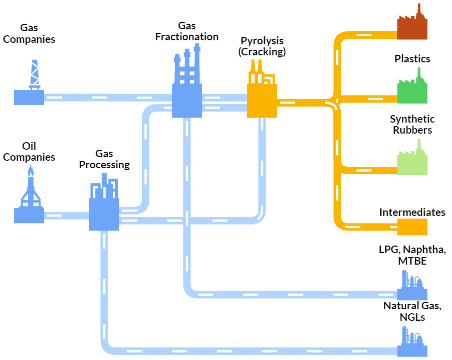 Model industrial processes, workflows, SCADA diagrams and more. Permissions and validation make it easy to add rules and constraints when your customers build diagrams. 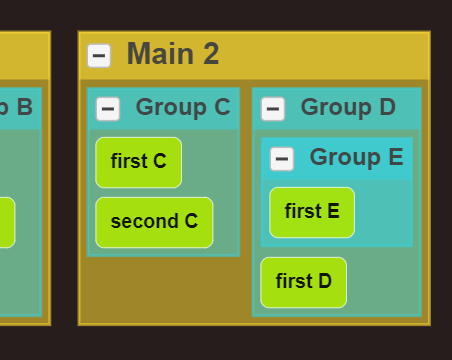 Use groups as containers and subgraphs, with group members bounds by their own rules and layouts. Our thorough documentation introduces the basic concepts and demonstrates typical features that most apps want to offer. Nodes and links can be arbitrarily detailed according to the needs of the application. There are many properties that permit simple permissions and customizations, and some methods may be overridden for more complicated customizations. Run over 200 sample apps that demonstrate flowcharts, org charts, mind maps, UML diagrams, BPMN diagrams, graph editors, data visualization, custom tools and layouts, and much more. 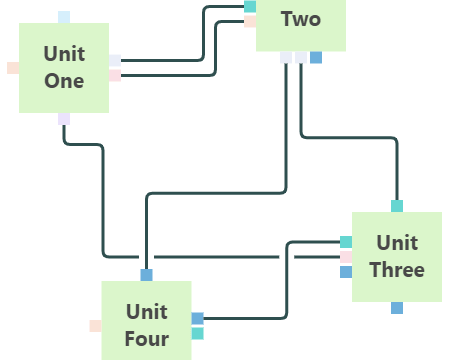 Read our introduction for a overview of GoJS concepts and features, including hundreds of live interactive examples embedded right in each page. Evaluate the full library without any limitations. Register with us and get free support for a month to help build your app. When upgrading to a newer version, please read the Change Log.